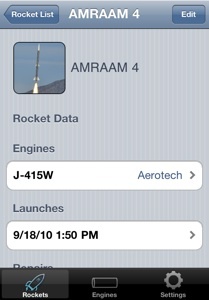 Rocket Tracker is an app used to keep track of the model/high-powered rocketeers’ collection. It can be used to keep track of a rocket’s physical characteristics (height, weight, center of gravity, etc. ), what engines it can use, when it has been launched and what engines where used for that launch, and what repairs it may need. 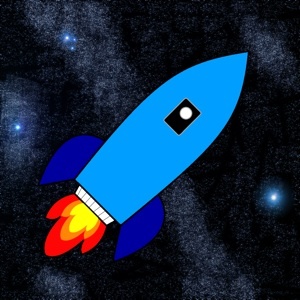 In addition, Rocket Tracker keeps a list of all engines used by any of your rockets and will list all of your rockets that can use a given engine. This is especially helpful when you have a couple of engines laying around and want to know which of your rockets could use those engines.